In one of his most familiar parables on stewardship, Jesus tells the story of three servants entrusted with the Master's talents. The first servant, having received five talents, invested wisely knowing that his Master valued good stewardship and reaped three more talents. So also, the one with two talents gained two more.But the man who had received one talent went off, dug a hole in the ground and hid his master's money. When the Master returned the one who hid his money was rebuked for being a poor steward of the Master's money. We have an opportunity to be wise investors of our money, or really God's money, which will enable the ministries and mission of the Holston Conference to be in ministry for many years to come. 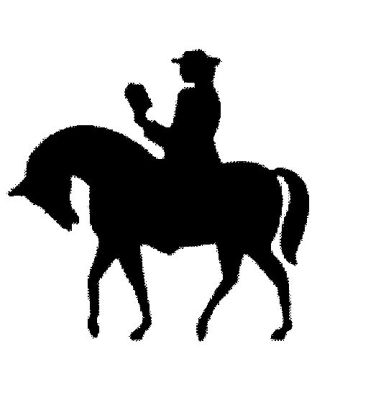 In that spirit, the Holston Conference of the United Methodist Foundation provides The Circuit Rider Society, a recognition program to say "thank you" to individuals who have made planned or major gifts to benefit conference churches and ministries. Just as the talents invested wisely are deemed a wise investment by the Master, planned gifts such as bequests, life income arrangements, gifts of real property and gifts of other appreciated assets can grow into substantial endowment funds that will impact and sustain local church ministries far into the future. Major gifts benefiting specific programs qualify as well. We are living in a time of unprecedented wealth transfer from older to younger generations, and the Foundation likewise encourages churches to encourage their members to be active stewards of the resources God has bestowed on them - during their lifetimes and after - to benefit the church, its mission and ministry. When donors attach their names to an endowment fund or add funds to a church established endowment fund, they create an enduring legacy that will outlive them and influence succeeding generations. Other family members and friends will be reminded on the person's values and commitments. Endowment funds can also be used to honor the lives of others who have made a significant impact on the donor and/or the church. The Foundation provides a lapel pin to the donor and recognition on the Circuit Rider Society wall in the Conference Center listing all who have embraced philanthropy as a public way of saying "Well done, good and faithful servant."